Richard “Carbo” Carbonetti is a partner, Senior Vice President Timberland, and Director of Management & Consulting at LandVest, a brokerage, consulting, and timberland services firm. He is responsible for the forest management and consulting on over 2.2 million acres in Maine, New Hampshire, Vermont, New York, and Pennsylvania. 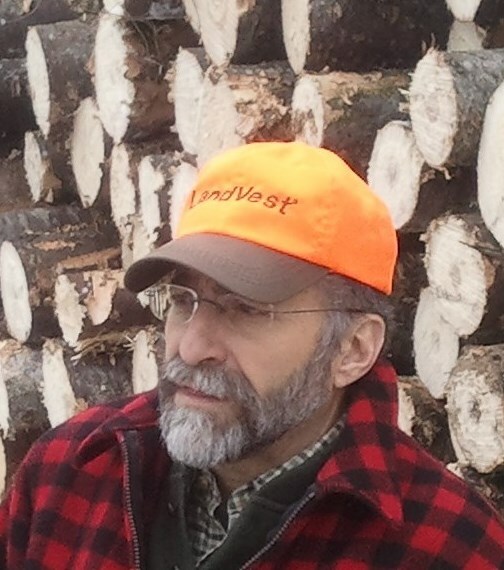 A licensed forester in Maine, New Hampshire, and Vermont, Carbo earned his BS in Forestry from the University of Maine at Orono where he also received a Distinguished Alumni award in 2014. On today’s episode, Carbo discusses the benefits of working in consulting forestry, how the industry can improve as a whole, and why foresters need to get better at communicating their value to the community. [1:05] A message from Leadership Nature. [1:50] A quick intro about Carbo’s background. [4:20] How did Carbo get into forestry? [9:40] What does Carbo love about being a forester? [12:45] Carbo didn’t know anything about running a business when he started! [17:10] Carbo used to drive his classmates crazy because he asked ‘too many’ questions. [20:15] You gotta embrace change in your life. Carbo knows so many people who are paralyzed with fear because of change. [25:30] What advice does Carbo have for aspiring forestry consultants? [28:20] It’s important to remember that people think differently than you do. [39:45] Carbo shares an example of ‘bad actors’ who claim to practice forestry. [43:40] Carbo has been an ACF member for the last 40 years. What are some of the benefits of joining? [49:40] What kinds of mentors has Carbo had over the years? [54:30] Forestry programs have changed greatly since Carbo was last in school. [1:04:50] A lot of foresters actually undercharge for their services. [1:11:15] What’s one thing about leadership that Carbo wished he’d learned sooner?